Hello, lovelies~ I know I haven't updated my blog lately. I guess, I just got things to tend to in my life right now. Not going to talk much about it, but today, I wanted to show you what I wear to my relative's wedding party. 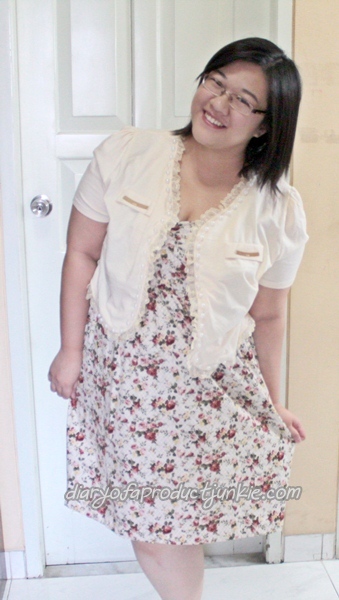 Floral prints has always been my favorite and this is my very first floral dress that I bought. Actually, this is the first time I wore it too. I paired it with a cream colored cardigan (?) or is it a bolero? These combination is so comfortable and creates a sweet, girly look. Even though I rarely use a dress, but this is my favorite way to dress up. 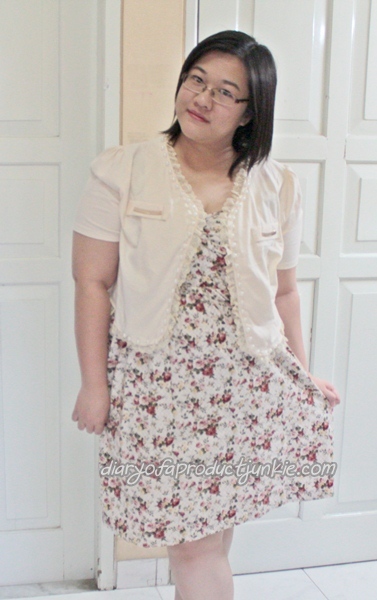 I bought this dress and outerwear from x to X Plus Size Clothing store at Mall Artha Gading. For you who are plus size like me, check out their facebook page HERE. For my makeup, I applied my trusted Revlon Colorstay Foundation in Sand Beige then setting it with Maybelline Dream Matte Powder. I applied a teensie bit of MAKEOVER Blush in Iridescent Pink for a little hint of color. 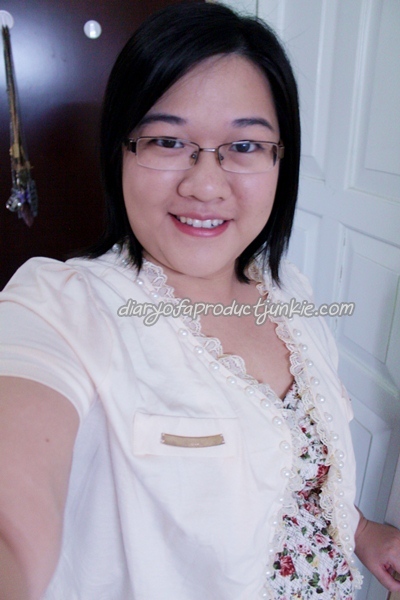 For eyes, I only applied Etude House Oh M'eye Liner in Brown to have a more defined eyes. I groomed my eyebrows with a spoolie brush and filled the gaps with TheFaceShop Sponge Eyebrow in Gray. To finish up the simple look, I applied Maybelline Color Sensational Pink Petal for that fresh and vibrant look. I think it is a great combination. Your outfit and the soft makeup. Looking good!